Hundreds of FBI workers who were born overseas or have foreign ties are being subjected to extra internal surveillance, a report says. They complain it is unfair and discriminatory, and stalls their careers. 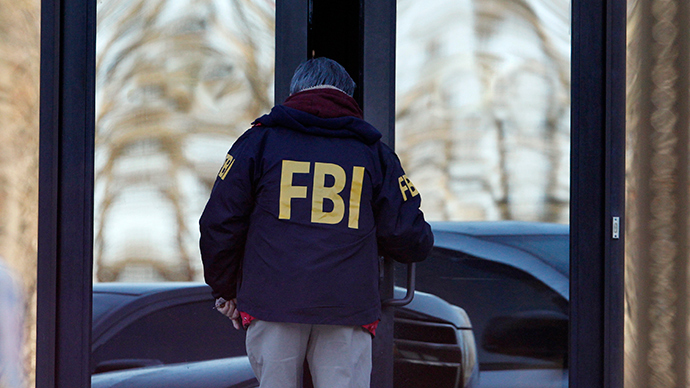 Everyone employed by the Federal Bureau of Investigation (FBI) is subject to internal security screenings to ensure that the organization is not put at risk from possible spies within the network. However, those who have been hired by the bureau due to their foreign language and cultural skills, or have family members living overseas, say their career prospects are being hampered and they are not allowed to undertake certain assignments, The New York Times reports. The FBI created the Post-Adjudication Risk Management program (PARM) to keep tabs on workers following the September 11, 2001, terrorist attacks. They wanted to monitor newly hired linguists who had access to sensitive material to make sure they would not be coerced by family members or friends into passing it on third parties. The FBI has said that inclusion in PARM is not discriminatory to its employees and that the added safeguards are necessary to ensure state secrets are kept secret, especially in the wake the high classified information that was disclosed by NSA whistleblower Edward Snowden. “I want to assure you that being under a PARM plan is neither an adverse action against you nor an indicator that you are a threat to the national security interests of the United States,” J. Mark Batts, who, as acting section chief in the FBI security division, wrote one employee recently, the New York Times reported. “This program was good for the new hires after 9/11, but for it to be used against current employees, some with 10 or 15 years’ experience and who have proved themselves, is unacceptable,” FBI agent Gamal Abdel-Hafiz told the New York Times. Abdel-Hafiz, an Egyptian-born agent who joined the FBI in 1994 as a linguist, was put in the PARM program without warning in 2012. He mentioned that he was no longer trusted with being given top secret documents, while others who had been included in the program said it was harder to get undercover assignments. Another lawyer, Jonathan Moore, who represented an agent who was included in the program, said people often do not know why they have been included in it. “Inclusion seems to be wholly discretionary, which means it could be caused by the whims of a supervisor who for whatever reason doesn’t think so highly of the agent,” he said. Since 2012, the FBI has increased its hiring of linguists by 85 percent, with Arabic, Chinese and Farsi the most in-demand languages. The organization employs in the region of 36,000 people, and around 1,000 are believed to be in PARM.